On a recent drive around the coast just before sunset, I decided to stop at Great Island Common to see how the day’s light looked out over the ocean. 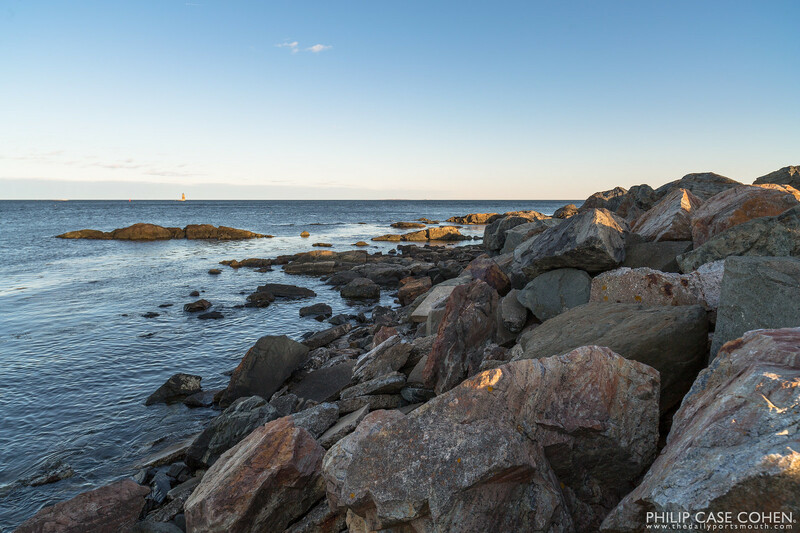 The tide allowed for some quick exploration along the rocks – enjoying the view of Whaleback Lighthouse in the distance. On an incredibly windy afternoon, the waves against Whaleback were less than I was hoping for – but still a beautiful scene.